With the American Dream and a lot of hard work. Gothic Cabinet Craft (1-877-446-8442) was started in 1969 in NYC by a Greek immigrant Theodore Zaharopoulos, who was determined to make it. With a focus on quality and affordability, our founder's designs evolved into practical storage solutions for urban areas. The Original ™ Storage, Original ™ Platform, and Original ™ Captains beds were all developed by him and are now a common staple in all furniture stores. 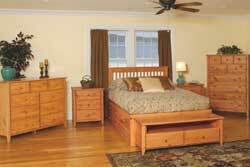 A family operated business, Gothic continues to offer high quality affordable furniture for every home. To back this up, Gothic is one of the only furniture companies anywhere in the world to provide a lifetime warranty. Now serving the entire US, Gothic is the largest manufacturer of unfinished furniture on the East Coast. Gothic Cabinet Craft is a family operated business that manufacturers affordable real wood furniture for every room in your home. Stop into our stores today and experience the Gothic difference. Since we opened our first store in 1969, we have produced quality wood furniture from solid hardwoods and select veneers for our retail customers in the New York metropolitan area. But Gothic Cabinet Craft is not just for the home! We can also help you furnish your office, business or institution. We have a wide variety of satisfied commercial clients such as interior designers, hotels, hospitals, libraries, contractors, restaurants and retail stores all over the country. From a single stock item to large quantities of made to order pieces, Gothic can suit your needs and budget. 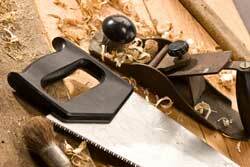 If you don't find what you need in our stock selection we can also manufacture to your specification. Bring us a design, or just explain what you need. We can work with you to design a solution. Better Quality. Craftsmanship is our philosophy, not just our profession. Enormous Selection. Over 2,000 items in stock and counting, in a variety of wood unfinished, or with your choice from our large selection of finishes. Design & Storage Solutions. We have been researching your needs and continuously improving our designs, resulting in innovative, home-friendly functional pieces. We also build to order! Customer Service. We take pride in our reputation for excellence in customer support for over thirty years. Gothic Cabinet Craft's wide selection and attention to detail make us the perfect partner to help you create your ideal home or work environment. 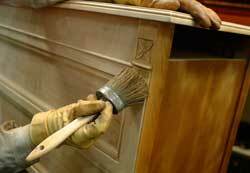 For whole rooms or just accent pieces, let Gothic Cabinet Craft's quality and experience work for you.